Bring the outdoors in with a pair of curtains in nature’s hue. From grass green to forest, you’ll find the perfect shade in our luscious collection. 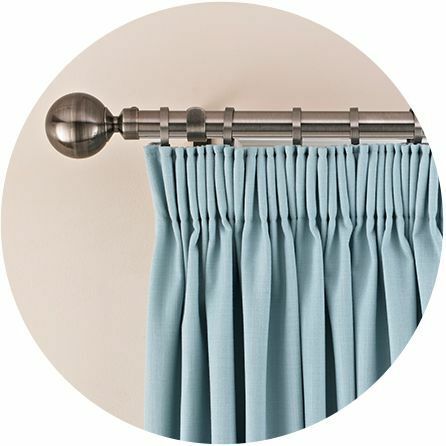 Browse our gallery of green curtains. From zingy lime hues to rich emerald shades, our collection has it all. Why olive palettes are proving particularly popular. Invigorate your décor with gorgeous curtains in lush green tones. Green is a colour we closely associate with spring and nature, and so by choosing this shade for your curtains, your interior will instantly feel refreshed and rejuvenated. Citrus hues will add a fresh and lively twist to your décor, while sage and mossy shades will feel more cocooning and cosy. For a layered look, combine plain green curtains with blinds in a tonal shade. 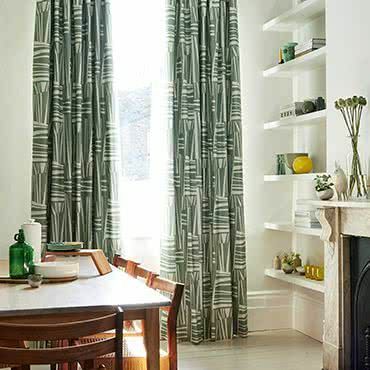 Green curtains work particularly well with floral prints in spring fresh shades. Another great look that closely reflects the natural world is to combine patterned green curtains with Wooden blinds in natural tones. Request an in-home appointment and an expert advisor will visit you at home at a time that’s convenient for you, including evenings and weekends. We’ll bring our entire range for you to browse at leisure and we’ll measure your windows so we can give you an accurate quote. 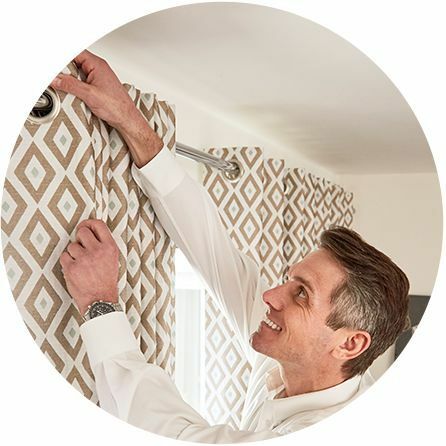 When you’re happy with your selections, we’ll return to fit your made-to-measure curtains for a fantastic finish.